When there is an abundance of letting agents on the high street and across the web it can be quite challenging and time consuming to decide which agent you wish to go with. Letting a residential property can provide you with some attractive returns of rental income and we can offer you the service with advice you may require that will make your investment a complete success. Our staff work together, talk to each other making them a team to reckon with who are totally dedicated in offering you a service that is simple, successful and stress free for you. If you are looking for a new place to call home and are thinking of renting then you can sign up and register with us either by leaving all your details with us on our contact us page or phone us to register. Please feel free to browse our current listings, as you new home may be closer than you think. As for you Landlords who already have a well established port folio, or you may be new to this and have just purchased your first investment property to rent out, or you may be thinking of letting the property your living in right now as you have no need to sell it. Well check out and click HERE for our new promotional offer we have for all new landlords who sign up with us. IT'S A CRACKER! We can off a number of packages from the traditional let to the GRIS or Guaranteed Rental Income Scheme to give you full piece of mind, hassle free letting for you guaranteeing the rent is paid even when the property is empty. All this can be tailor made created just for you. You can decide how much you want to be involved. We can find a tenant for you, vet and screen them to ensure credibility and pass them over to you for you to manage or you can sit back as we take care of it all. We have methods in place to find tenants fast and achieve the best rental income possible while managing the whole procedure effectively and efficiently from start to finish. We are working and joining with the Association of Residential Letting Agents or ARLA to ensure we provide a service to tenants and landlord that is second to none. Over time we have moulded our team to achieve the correct balance to produce a high level of experience giving you that professional service desired by so many landlords and tenants. This has developed into a honourable reputation throughout the City for producing the very best customer service relations and advice for our clients. We get so much business due to recommendations from our current landlords and tenants who pass our information onto their colleagues, family or friends. Our vetting and screening process is discreet and non-offensive to ensure all parties are protected. The correct tenant is matched to the correct property ensuring that there is always a member of our team available to call if necessary to iron out and queries, problems or issues that may occur. Here at Plymouth Sales & Lettings (PSL) our goal is to give a stress free service to our customers and clients. This comes from having a team with extensive knowledge and experience in the letting market. 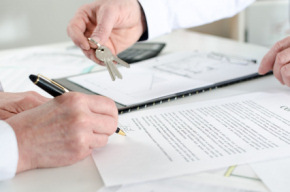 We work alongside the guidelines of the National Association of Estate Agents and the Ombudsman for Letting Agents. Applying for membership from these associations can give landlords and tenants piece of mind that they will always be handled professionally and fair. All our rental income money is ran via our secure landlord accounts so as the funds cannot be used in any way whatsoever for any circumstance including the running of our business. To run along side this we have Fidelity Bonding and Indemnity Insurance to act as further protection for our landlords' rental income funds. Full Internet coverage on the leading advertising companies across the UK that attracts extensive visits from over 60 million a month. If you need proof please feel free to check out our customer feedback record. SO WHY LET YOUR PROPERTY WITH US? Plymouth Sales & Lettings (PSL) have a database of clients who are looking for rental property. Our clients who meet the criteria for your property will be contacted and invited to view. Our agents will keep you fully updated on any interest in your property and work with you to arrange viewings to minimise inconvenience to your daily routine. Should you decide that Plymouth Sales & Lettings (PSL) is the right estate agent for you then we will visit your property to take full colour pictures and measurements with the aim to have your property on the rental market within 3 working days. 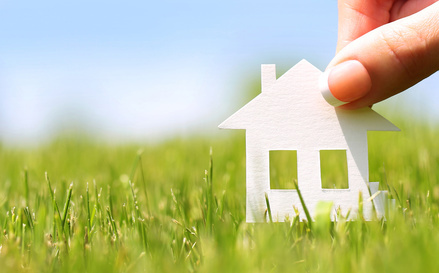 Your property will be advertised on our website to give it the maximum exposure possible. You will have the choice to be present during viewings or to leave keys with our full insured, CRB checked selling agents who are fully trained in letting to show your property to its best potential. If your property is successful to receive an offer we will work with you and your tenant to complete the required paperwork including credit and reference checks as soon as possible so your property is taking rental income at the earliest opportunity. Should your property not receiving an offer, we will ask for full feedback from the viewer with the aim to rectify any issues which may need addressing to improve your property's letting potential. Once a tenant has been found for your property you will have the option to choose from our Gold, Silver or Bronze landlord packages which gives you the option to decide on how much of the letting process you wish to control and how much you would like us to manage. We have our own fully insured very experienced, dedicated, fast response maintenance company Acorn Building Solutions who are on call to deal with any issues at your property. Our landlord packages give you the option of paying a monthly fee to cover unlimited call outs by Acorn Property solutions or the choice to 'pay as you go', paying for the company as and when you need them at a reduced price from being a Plymouth Sales & Lettings client. If you require more details of our landlord packages please contact us now on 01752 212928 where one of our team will be happy to help you. You will be provided with a direct line number for your letting advisor who you can contact with any issues or questions you may have. Here at Plymouth Sales & Lettings (PSL) it is clear to see we make the letting process as simply as we possibly can. Assigned your own letting advisor to keep you updated throughout the process. Choice of property management packages. Tenants credit and reference checked. Considering letting your property? Call Plymouth Sales & Lettings (PSL) now on 01752 212928 and one of our lettings team will visit you at your property at a time to suit you where we can discuss a full comprehensive rental valuation of your property and inform you of the service we can provide. SO WHY RENT A PROPERTY FROM US? Plymouth Sales & Lettings (PSL) know all too well how frustrating it can be when you find your perfect rental home yet the set up fees are so expensive it becomes impossible to budget for. When applying to rent a property fees are inevitable, credit and reference checks are required. Here at Plymouth Sales & Lettings (PSL) we pride ourselves on our competitive market rates to help you afford the best property possible. Full rental application fees are available on request. Plymouth Sales & Lettings can take care of all maintenance issues that may occur during your tenancy. Depending on the package chosen by your landlord with Acorn Building Solutions, we can have a tradesman out to your property within 24 hours. If your issue cannot be resolved on the spot due to the need for parts, then Plymouth Sales & Lettings will aim to have all repairs resolved as quickly as possible. Call Plymouth Sales & Lettings now on 01752 212928 and talk to one of our lettings advisors who will answer any questions you may have and give you the option to be placed on our rental property mailing list where we will notify you of any rental properties that are becoming available that may meet your needs as soon as they come on the market. WANT TO RENT IN PLYMOUTH OR THE SURROUNDING AREA? To rent a home and be a tenant is a fab lifestyle choice, which can give flexibility to you when it's most needed. As a part of Plymouth Sales & Lettings (PSL) you will receive a full guaranteed service to help you every step of the way to make the transition pain free. Call us now on 01752 212928 to find out more about our tenant products and services we can provide. We have an extensive portfolio range of properties available now that you can rent and call your new home. We will provide you with all the help, services and products you may need to make the process stress free and easy. To search for our properties currently available please feel free to click on the Search icon at the top of our home page. We strive to have a market leading service that can be nominated for award. Call us now on 01752 212928 if you require a free rental assessment of a property. If you want to sign up and register with us its free, you can do this by either leaving all your details with us on our contact us page or phone us to register. With an extensive range of properties to choose from, if you want a flat with sea views in the city to a detached home in the country we can help you find your new home. We have helped so many individuals and families find new homes year in and year out. 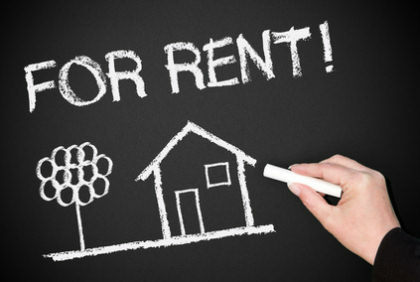 We can provide all the necessary rental services required when searching for a new home and when moving to a new home. We will proactively search for you're new home based on your circumstances and requirements and come with you on viewings to ensure the right home is found for you. To protect our tenants we offer tenants insurance that can be tailor made around you and your circumstances giving you a choice of different grades of cover that can effectively cover you for every eventuality. As a tenant you do not need any building insurance but it is good practise to have contents insurance to protect all you have in your home. You may have expensive kitchen white goods, a leather suite and what about those sentimental personal items that is hard to replace such as jewellery. It only takes one single event like a flood or a fire and If you have not got the correct cover in place these items can not only be lost forever it could have a painful detrimental impact on you and your way of life. Lettings cover tenants insurance is underwritten by AXA insurance UK plc. It is tailor made for those only residing in rented accommodation. It is insurance with different options to give you, your possessions and your landlords fixtures and fittings protection from damage if it occurs within the property you are renting. Call us now on 01752 212928 to find out more details and talk to one of our team. FANCY RENTING A HOLIDAY HOME? Whether it's a romantic weekend break for two or a two-week family holiday we can help you find the right accommodation in the area you so desire. There are many ways to source an investment property but whatever method you use the financial return is important to get right. The lower you can purchase your property for will benefit you rental income especially if you have a buy to let mortgage in place. Buying a property outright is always a winner but again you need to keep the purchase price as low as possible so as to achieve maximum return. A good idea is to purchase a property at Auction. This way gives you a timely transaction process that can potentially save you thousands of pounds.